The highly anticipated 3D film sees Dr Vaseekaran rebooting rogue Chitti after dismantling him in the last film, to save the world from Dr Richard gone rogue. While nothing much is known about Akshay Kumar and Amy Jackson’s characters in the film or the film’s story, ‘2.0’ will feature a theme about mobile phones. The threat posed by a deadly evil forces Dr. Vaseegaran to reassemble his robot Chitti, his last resort to fight the monster and save the world. 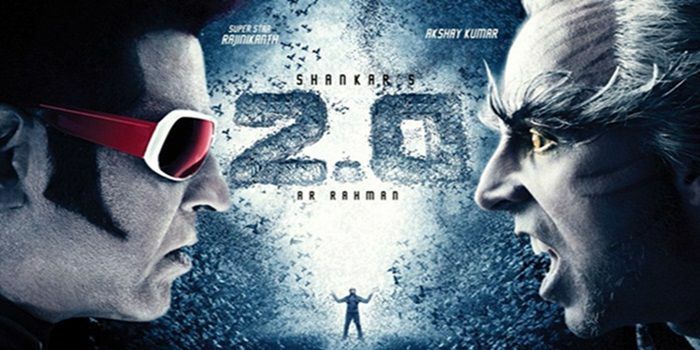 Check our 2.0 movie review here. The movie is right before us at the threshold and it’s up to the audiences to decide the fate of ‘2.0‘, the costliest movie ever made in India to date. Being the sequel of the blockbuster ‘Enthiran’, there are certain expectations on the movie and the hype on the movie is real and didn’t really go overboard for some reasons. 2.0 is a Good watch in cinemas undoubtedly. It is narrative based and Shankar gets right into the story from the first frame. The grandeur in making and suspense factor keeps the interest alive. Shankar takes us right into the story without wasting any time. The second half maintains the momentum of the first half and keeps the narrative engaging despite a fairly predictable story. Not to mention the superstars of Indian cinema and their performances doesn’t need any explanation and you just have to catch t on screen. Catch up and enjoy the movie this weekend. Very nice movie ever I have seen ever, this is totally Hollywood based movie. It is really amazing.